You’ve likely heard countless stories of people getting job offers because recruiters found them while searching LinkedIn. My husband is one of these success stories. He was not actively looking for a new position. Still, one day a recruiter who was having a difficult time filling a position did a LinkedIn search, found my husband, and the rest is history. 1) You Didn’t Fill Out Your ProfileÂ As surprising as it seems, this is the most common reason we find that people have trouble on LinkedIn. They signed up for an account, added a photo and their most recent job title. Then they did nothing. Be sure to complete the many sections and leverage as many of the features as are relevant to your experience for optimal results. 2) You Are Too Vague If your most recent title is “associate” and you haven’t filled out any additional details on your responsibilities, it’s almost impossible to tell whether you’re an entry level employee or almost a firm partner. Be detailed with regards to your titles, responsibility, industries, and what your objectives are for moving forward. 3) You Have No Keywords The “associate” example above suffers from a second problem. Without any specific keywords in your profile, it’s really difficult to come up in searches that recruiters or companies may do. Be sure to use a variety of exact keywords in your profile so that you can come up for the skillsets you have that people may be looking for. For example, if you’re a sales person you may want to include sales, account manager, relationship manager, lead generation and other industry specific skills. 4) Your LinkedIn Summary is Terrible Writing a LinkedIn summary can be tough. In my experience, no one really knows where to start when writing their own summary (or bio, or introduction, etc.) However, that doesn’t make it a place to be forgettable, rude or incomplete. Be sure to craft a great LinkedIn summary in order to get off on the right foot (this is also a great place to put keywords and be specific). LinkedIn profiles and summaries can be very difficult to optimize objectively. However, to move forward in your field, these tools can be incredibly beneficial. 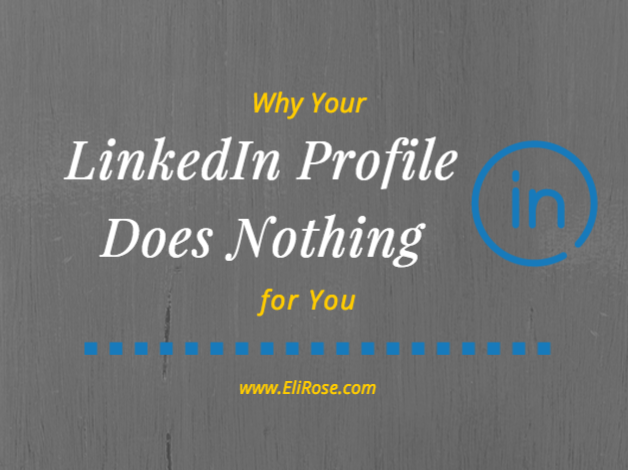 A well-crafted LinkedIn profile can effectively act as a passive job search tool. That way when the right position becomes available, there’s a chance it will find you rather than you finding it. 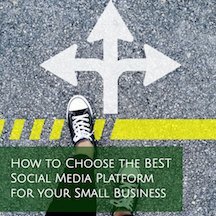 Still not sure where to start? Hire us to audit and optimize your LinkedIn profile. We can’t wait to partner with you to improve your job search capabilities.